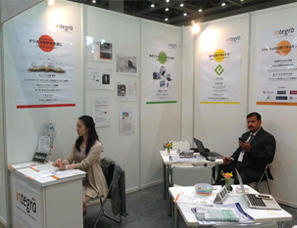 Integra exhibits at the 21st Tokyo International Book Fair 2014 (TIBF) from July 2nd to the 5th. 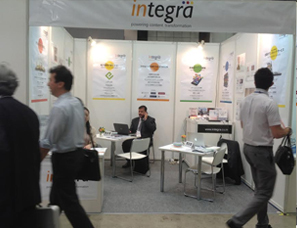 This was the first time Integra was showcasing its host of services for the Japanese publishing industry. Our Managing Editor from Integra-Japan office and our senior sales leaders from India attended the show and met visitors and delegates from the industry and shared how we can deliver full-service across the entire publishing spectrum in the Japanese language. Integra presented its complete capabilities across translation, composition, editorial, rights and permissions, project management and digitization services to serve the Japanese market. We presented samples of work done in different service areas and met many large publishers and content aggregators with varying needs specifically in the digital segment. We had presented our adaptive learning; game based learning along with App development capabilities to educational and ELT publishers. We also presented our adaptive learning platform to educational publishers which were extremely well received. The Human Anatomy Explorer App, the newest addition in digital products, stands testimony to Integra’s capability in transforming learning content into highly interactive digital output compatible with the latest gadgets and devices for an enjoyable learning experience. Tokyo International Book Fair (TIBF) is Japan’s largest publishing event and Asia’s leading trade show for the publishing industry. In this event, publishing companies from 25 countries and 65000 visitors get together under one roof. Exhibitors utilise TIBF to negotiate publication rights, as well as to sell books to bookstores, schools and libraries throughout Japan.